Over the past month or so, I have had the opportunity to work with some fine talent here at Perficient who are showing me the ropes on the Sitecore Ignition Development Accelerator as well as how this framework adheres to the Helix patterns, principles, and conventions. Helix is a growing passion of mine, along with our development team, and the more I develop using these patterns, principles, and conventions along with the Sitecore Ignition development accelerator, I am quickly seeing the benefits of Helix & Sitecore Ignition as a great development practice. Helix gives me the ability to maintain enterprise level Sitecore solutions a lot more easily with the Project, Feature, Foundation approach as well as SOLID patterns, principles, and conventions behind the reason why you should develop in this manner. 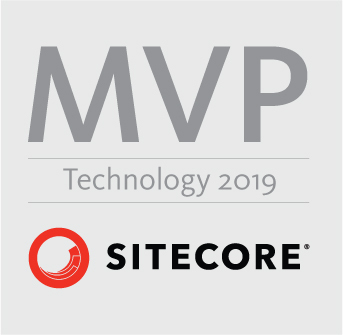 If you have not started development with Helix, truly consider a shift toward this as it is now considered a best practice, and recommended by Sitecore at this point. The Ignition framework allows me to hit the quick-start button when starting a new project for a new client, but in addition it allows me to work with Helix patterns, principles, and conventions to accelerate development time. There is more than meets the eyes with the Sitecore Ignition framework, and I felt it best to share my findings now that I have some hands-on experience in both areas. The links above will help you to learn more about the Sitecore Ignition accelerator as well as stay informed via your social media favorites Facebook & Twitter. When you add a new “Feature” project, which could be many, then this ability alone to have a template will speed things up dramatically in your daily development. Sitecore Ignition project template comes pre-loaded with a Controllers, ViewModels, and Views folder for you to start creating your modules and get to work quickly. Pre-configured Unicorn predicates for the project setup in the App_Config/Include folder. When using symbolic links with Link Shell Extensions, then you won’t even have to set up the serialization folder for the project because Unicorn will place the serialized items in the right spots in your feature to be included for check-in to your repo. Brilliant! Ignition.Foundation.Core includes SimpleInjector for IoC, and Glass.Mapper as the ORM. So when you create the new project, all you need to do is reference Sitecore.Kernel.dll & Sitecore.Mvc.dll from the official NuGet feed for Sitecore. This will make Glass.Mapper happy during Ignition.Foundation.Core package installation. Once the Sitecore Ignition.Foundation.Core NuGet package is installed, your project is ready to go! No Global.asax or RouteConfig.cs you need to worry about in the solution. Which is just less files/folders you need to worry about and more clean in my opinion, which is always good. When doing AJAX work you simply need to setup on your JSON returning methods for them to use [PublicRoute] along with [HttpPost] and that’s it. The rest is done behind the scenes for routing. Pretty slick! Experience Editor friendly just met developer friendly when the Sitecore Ignition team created a way for you to simply name a .cshtml file with a certain naming convention i.e. “_EE”, and now that view is automatically Experience Editor friendly. Big win for teams with juniors! Dynamic placeholders are OOTB with this accelerator so there is no need to roll your own, download one off the Sitecore Marketplace, or pull one in from NuGet. Overall, I am very excited about working with Helix patterns, principles, and conventions now in my every day Sitecore development role as well as the ability to accelerate that development with the use of Sitecore Ignition. Thanks for the hard work Sitecore Ignition team! I have a good feeling that I will be working with the contribution team when I can to help make this accelerator even better than it already is for the Sitecore community. Looking forward to when that time comes. Now go and “Ignite the Helix”! This entry was posted in Helix Patterns, Principles, and Conventions, Sitecore Ignition Development Accelerator and tagged accelerator, and Conventions, conventions, Helix Patterns, patterns, principles, sitecore, Sitecore Ignition Development Accelerator on August 1, 2017 by Toby Gutierrez.